As we begin 2017, it's important to note that 2016 was a # 9 year in Astrology. The # 9 represents a high spiritual vibration, but also relates the end of a cycle and endings in general. So, 2016 was all about the end of one cycle. This year, 2017, is a #1 year. 2017 features new beginnings, independence, and therefore a total tearing down in order to rebuild. According to Numerology, 2017 will have a sharp contrast in comparison to last year (2016) as where last year there were endings - the end of one cycle, now in the year of #1, it's about new loves for some, new beliefs about love for others, it's also about justice and legal matters. In Numerology, the energies of these numbers are the equivalent of night and day. 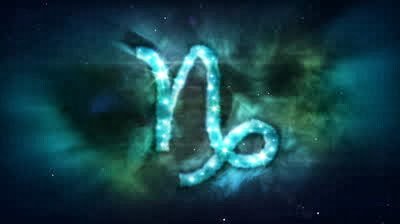 So expect a year of drastic new beginnings on a universal/world and professional level, Capricorn. As 2017 begins, Jupiter transits the marriage minded sign of Libra and the 7th House in Astrology. The 7th House rules marriage, legal partnerships, divorce and other legalities. Jupiter is also about our personal belief systems and with two eclipses in the sign of Leo this year, the House of passion, relationships are where it's at in 2017, the way we all see them, how we want them and our beliefs about love could change drastically. Another question of this influence is how we all handle issues with tact and diplomacy. With Jupiter in Libra, there could be differences of opinions in partnerships because Libra can be prone to indecision. It could be the best year ever to get married, set records, bring about changing beliefs about marriage/partnerships as Libra rules the 7th House (Marriages) and Jupiter rules expansion. Justice is another property concerned with Libra so, your own personal and intimate views about justice, and what it means to you will be occurring this year due to Jupiter in the air sign of Libra. Lucky you, Capricorn! Libra is your 10th House of career, so expect powerful professional opportunities to fall into your lap this year. You will seen as a master executive within your business and social circles. Expect many opportunities for advancement during this year and realize that this is just the beginning of a new ongoing project, personal or professional, Capricorn. You stand to gain a boost in prestige and work your magic where neighbors, VIPs and your community are involved. So are siblings and short distance travel. It's good to be Capricorn in 2017 and beyond although there will be some highly prestigious people, people in authority, the government, and where your public image is involved. You stand out from the crowd in 2017 and everyone notices! Talk about personal power and expansion. Neptune (planet of illusions) has been touring Pisces. Pisces is your 3rd House of neighbors, intellect, self-expression,Capricorn. Realize that your friendships are an extension of you, very important to you and during this time, you might hear secrets, reveal some secrets where friends are concerned but know that this can and will back fire under Neptune in your 3rd House. You could be dealing with a serious personal concern with regard to one of your friends, siblings, neighborhood issues and self expression such as writing, the internet and some people who remain anonymous who might not have your best interests at heart, Capricorn. Bottom Line: 2017 places a very strong emphasis on Capricorn for creating proper boundaries when it comes to your public image, neighborhood matters, siblings and offers to make it big will be presented to you, single or coupled. Begin a romance or start a creative, business or special project on the New Moon in Capricorn.